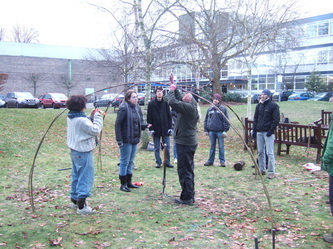 Willows are primarily found grown in moist soils in cold and temperate regions of the Northern Hemisphere. 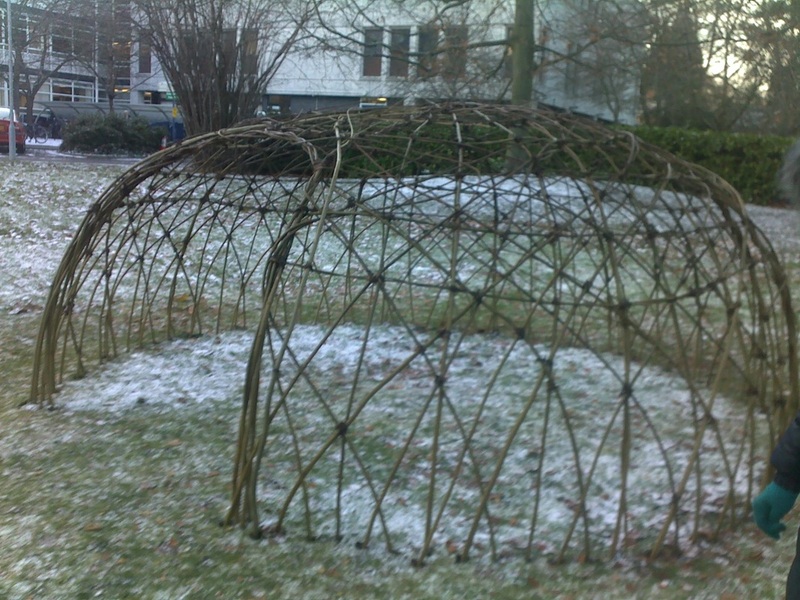 The ease with which willow grows and its flexibility makes it an ideal material to create simple structures that are easy to construct. 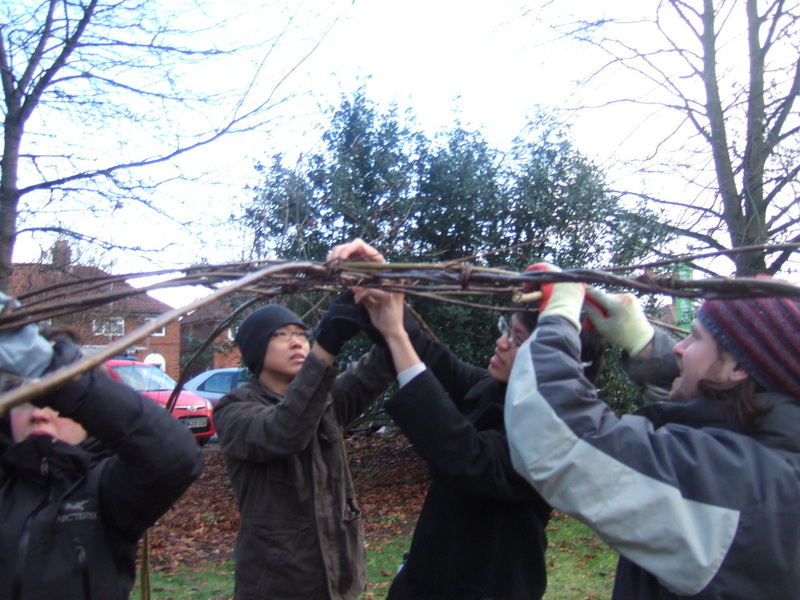 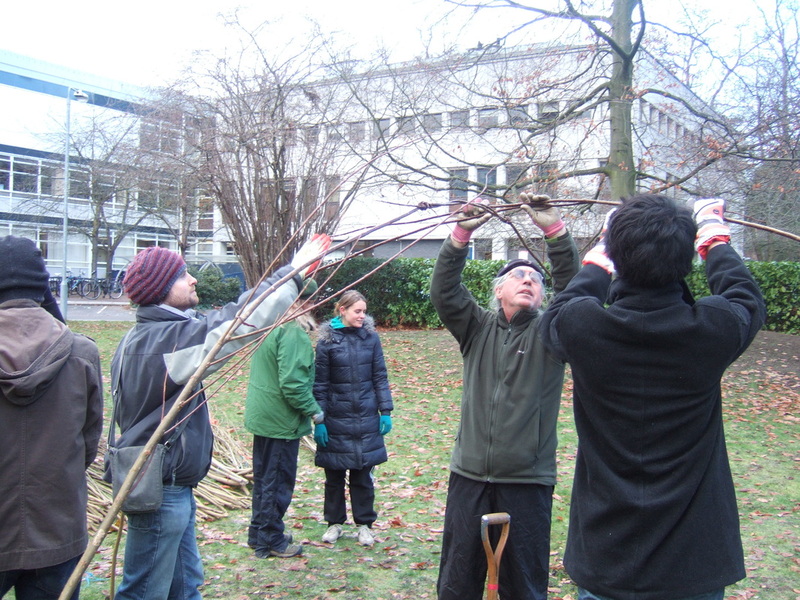 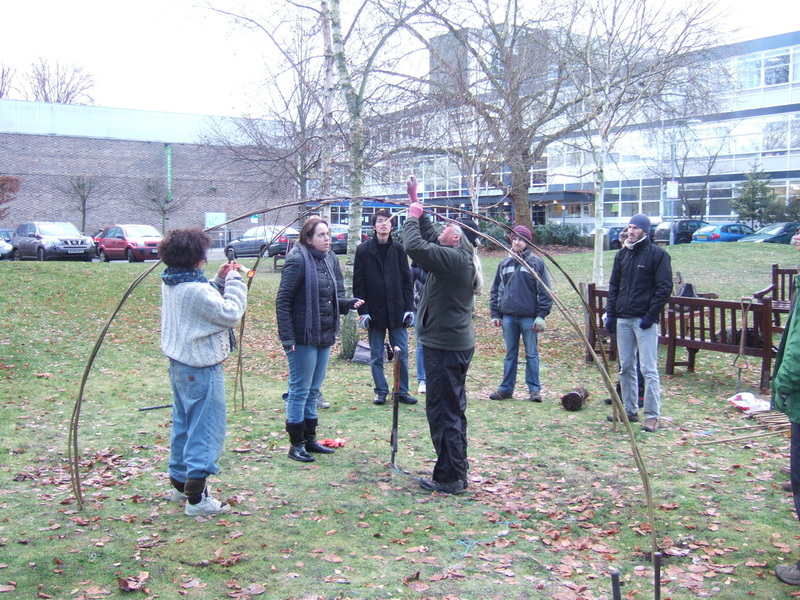 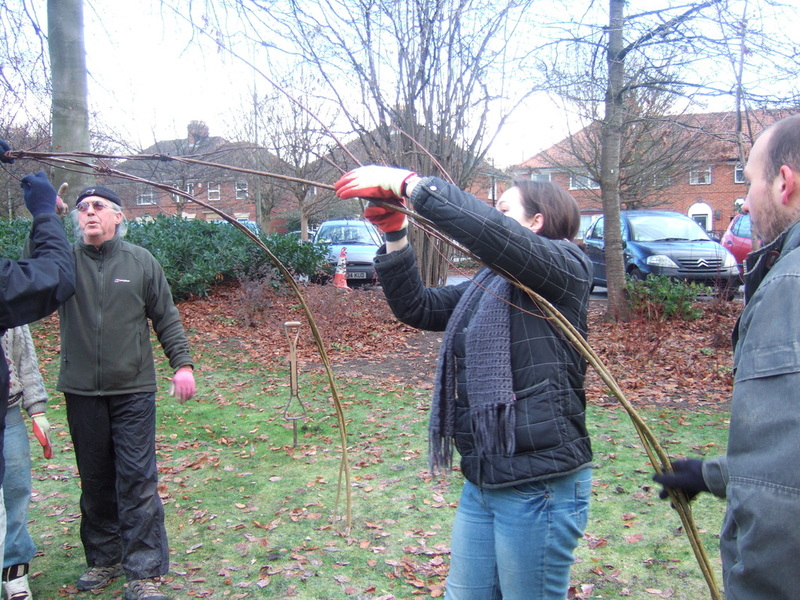 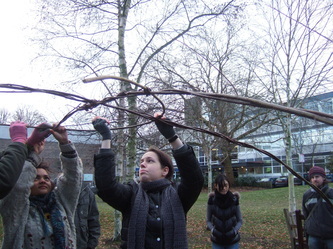 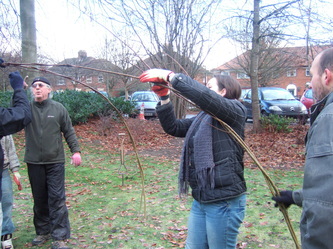 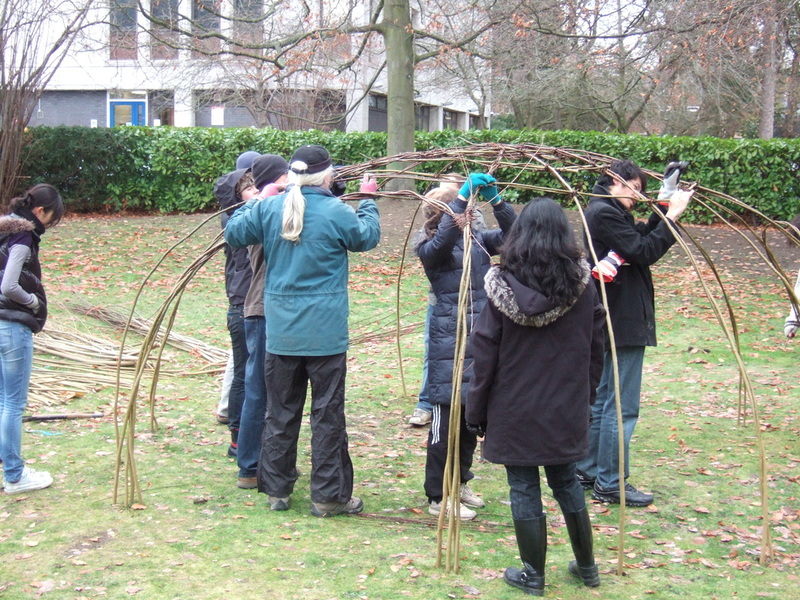 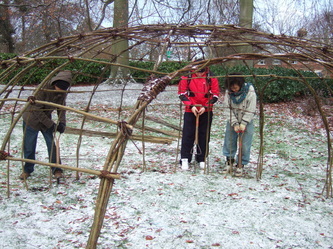 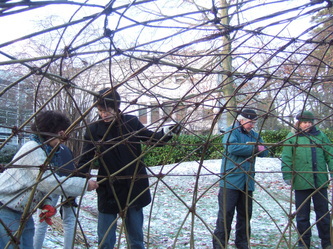 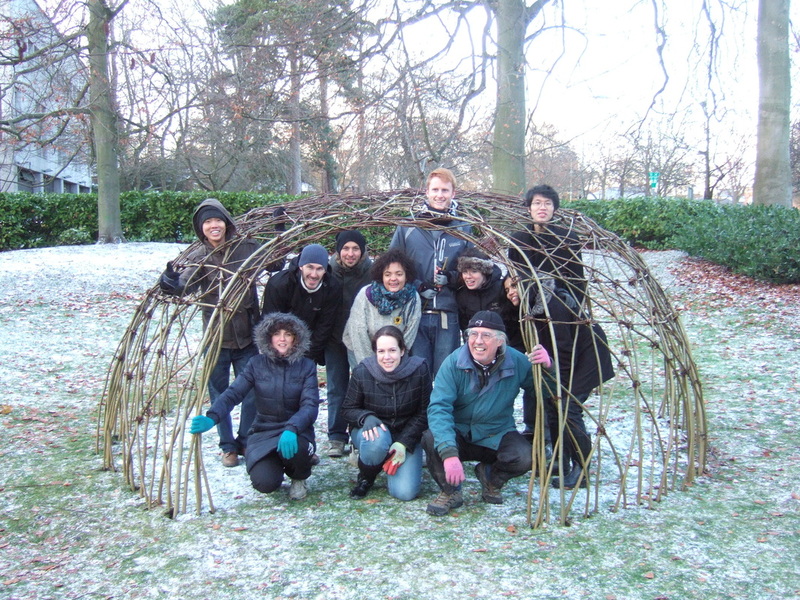 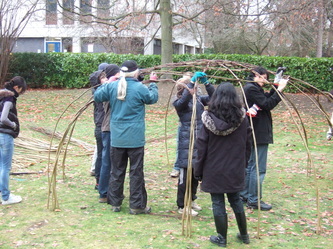 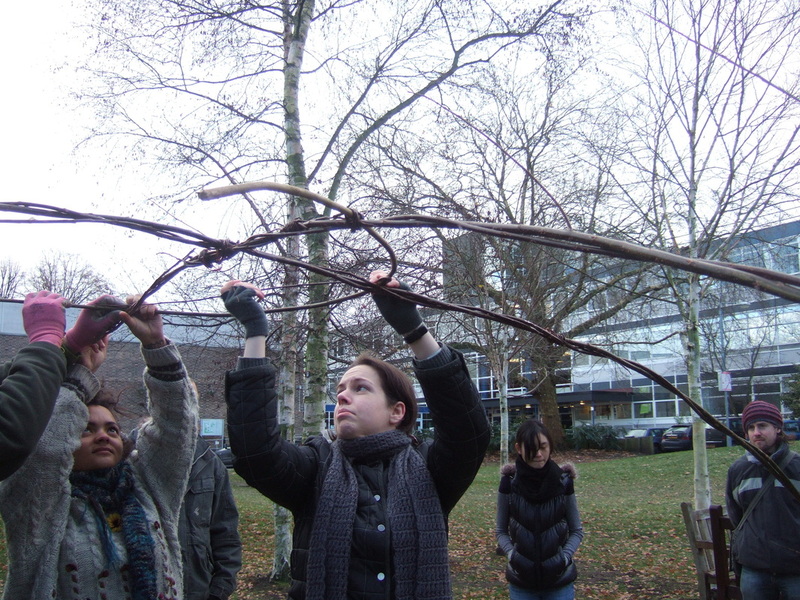 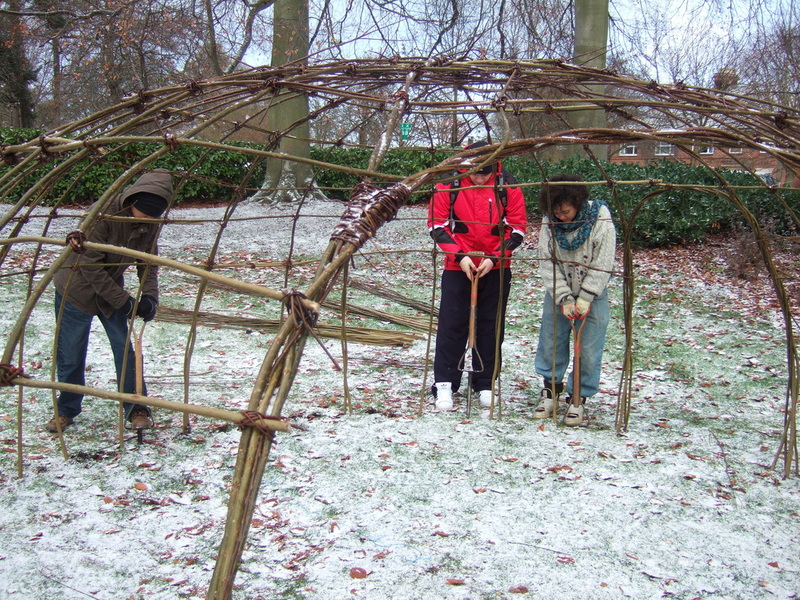 During this workshop, a dome shaped structure was constructed using solely willow and a few simple tools. 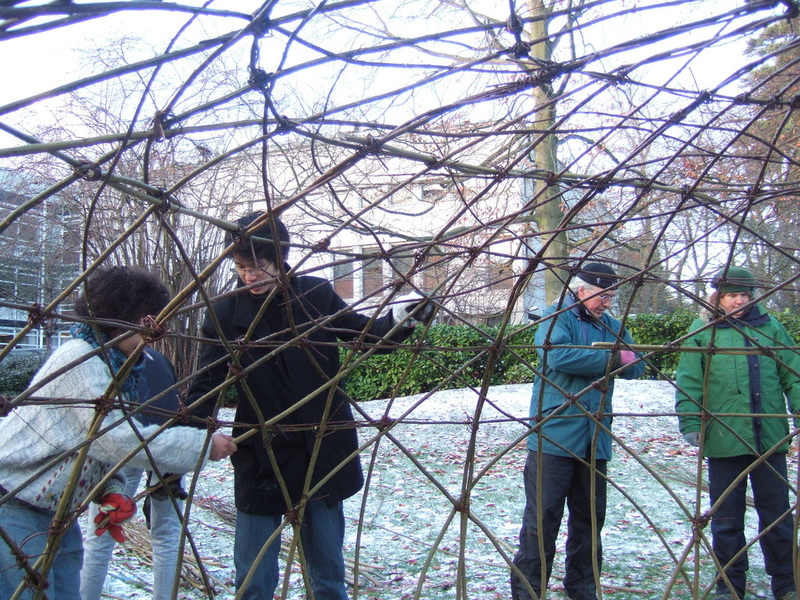 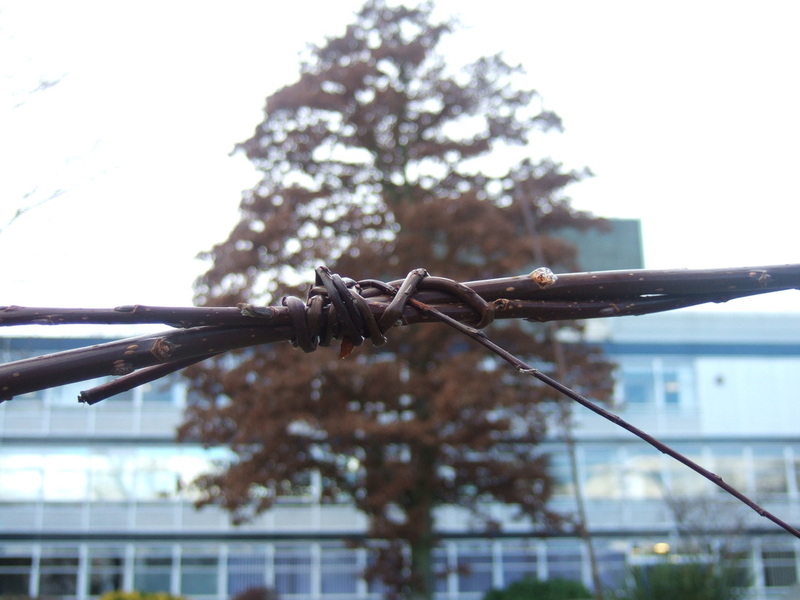 Initially a primary structure was formed using thicker freshly cut willow rods that were interwoven into the desired shape. 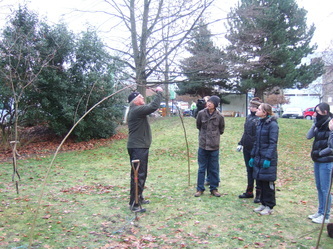 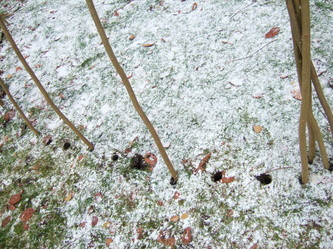 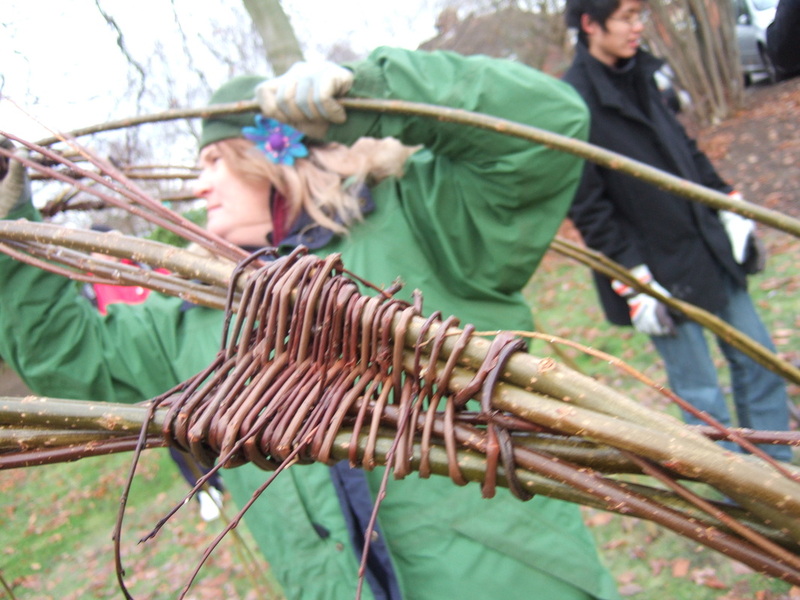 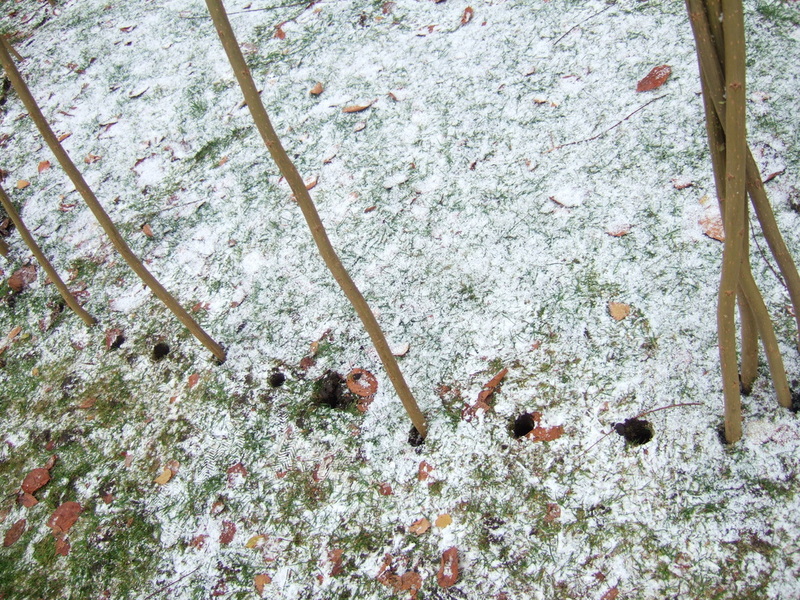 The overlapping willows were secured using thinner willow, interlaced using basket making techniques. 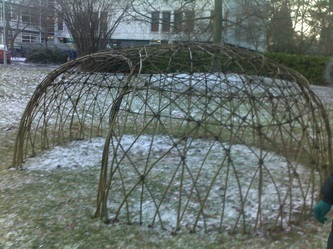 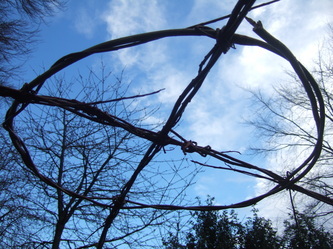 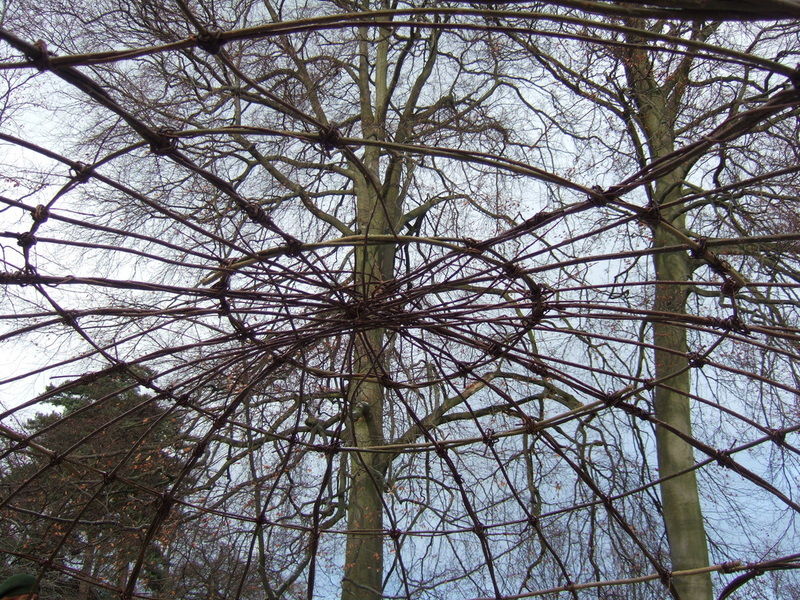 The structure was gradually built up by interweaving further willows around the circumference of the dome, tied together using similar techniques with the thinner willow. 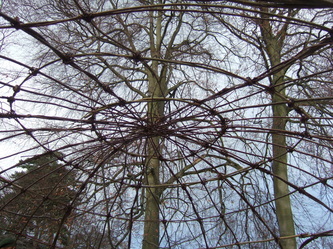 Willow sculptures are unique as they 'living' structures; they continue to change size (by growing), change colour and texture (leaf growth/fall, bare winter skeleton/leafy summer mass) and encourage wildlife.